Long-time (and even more recent) Uni Watch readers will recognize the name of today’s lede writer, Chance Michaels, a good friend with whom Paul and I have shared dinners, enjoyed Mets games and some of you may have even met him at a Uni Watch gathering or two (he’s the third from the left in that last photo). Throughout the years, Chance has contributed a number of articles to the blog, and he’s probably most familiar to you as the guy who runs the wonderful Borchert Field Blog. While the Brewers may be his overriding passion, his obsessive dedication to the athletic aesthetic is what makes his expertise in all fields, especially baseball from days of yore, so invaluable. Today’s article may mark the longest gap between a “Part II” and “Part III” in the history of Uni Watch — but I’m pleased to bring Chance back to report on a good development in the uni world. And after reading this, don’t forget to check out the final set (last two groups) of GRIFFIN DESIGN CONTEST entries (with voting). 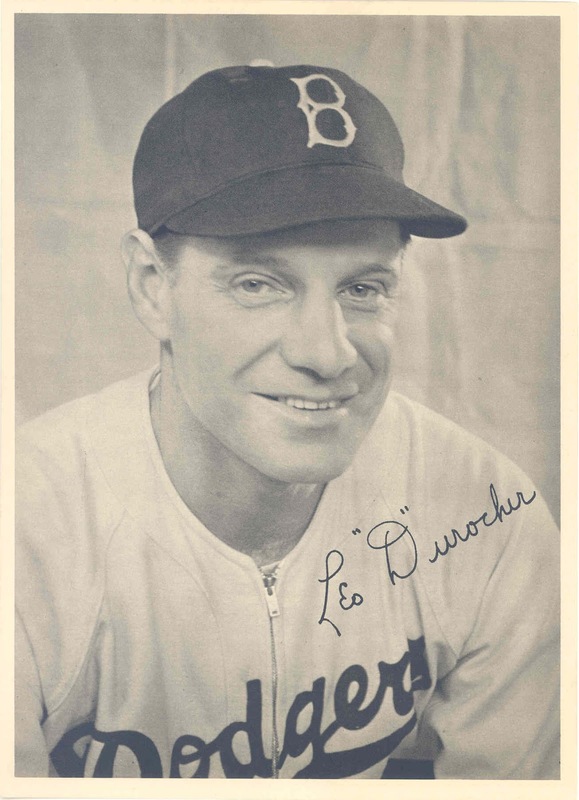 A few years ago, I wrote a two-part series for Uni Watch called “Hats off to Brooklyn” where we talked about the history of the Brooklyn Dodgers cap logos and how so many modern manufacturers get them wrong. 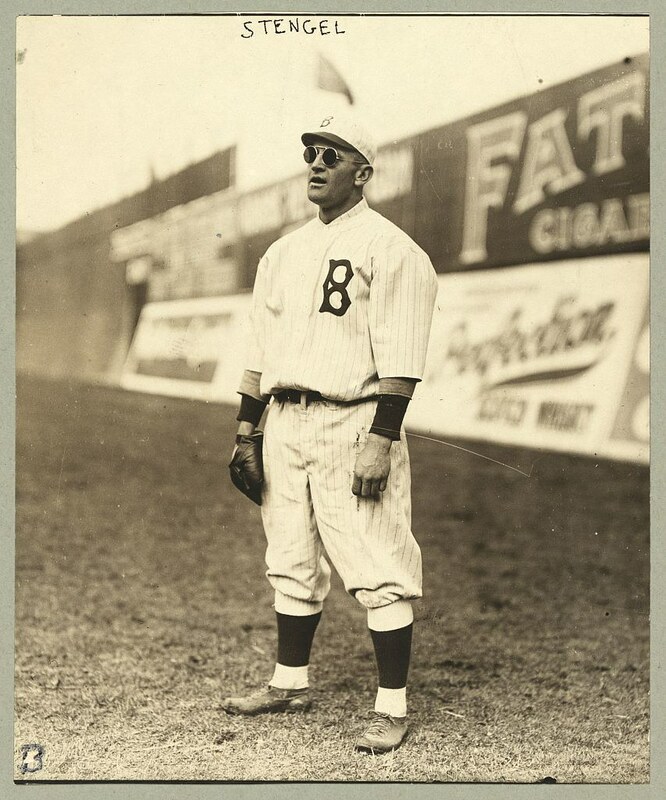 I argued that, of all the versions of Brooklyn’s “B”, an inaccurate one had been adopted by the team putting together the Cooperstown Collection official digital files, essentially re-writing history. At the time I wrote that, even in this consumer culture it was impossible to buy a baseball cap with an authentic Brooklyn logo. Well, I’m happy to tell you that it’s gotten better in the years since. 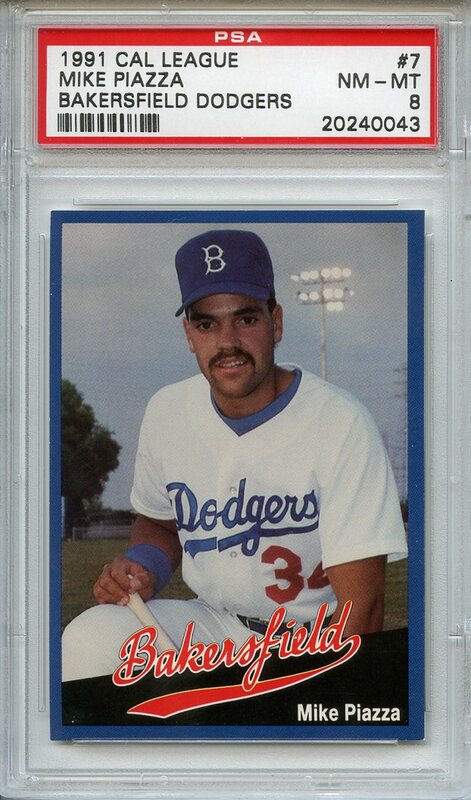 After the series ran, I heard from [Ross Yoshida/the Dodgers organization/a shadowy figure in a Washington, DC parking structure]; they were aware of the discrepancies and were working to change the official Cooperstown Collection digital files. To that end, they were reaching out to baseball historians for input, and I was asked to submit samples of what I thought was the correct historical logo. I went back through my pieces, pulled out some favorite photographs and forwarded them along. 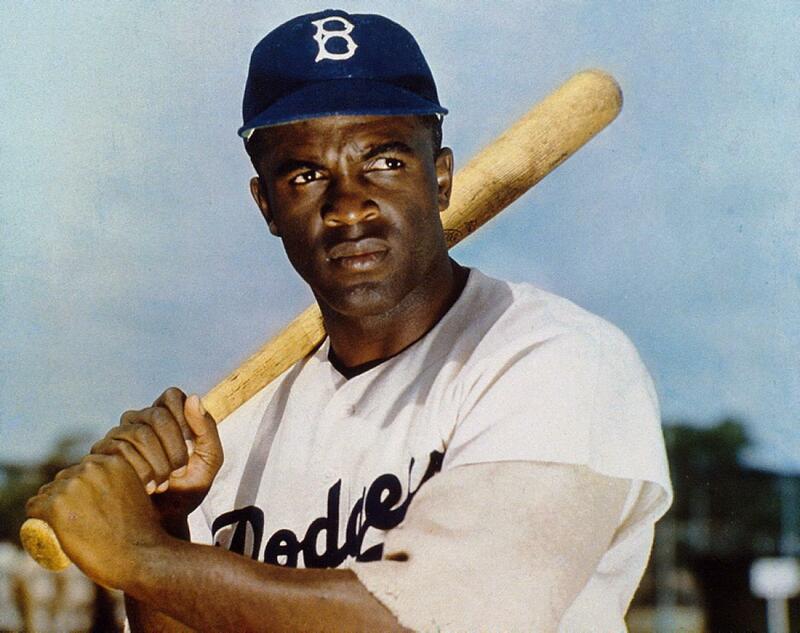 My personal choice, if we were to update the logo, was a classic, thick “B” from the late 1940s/early 1950s. 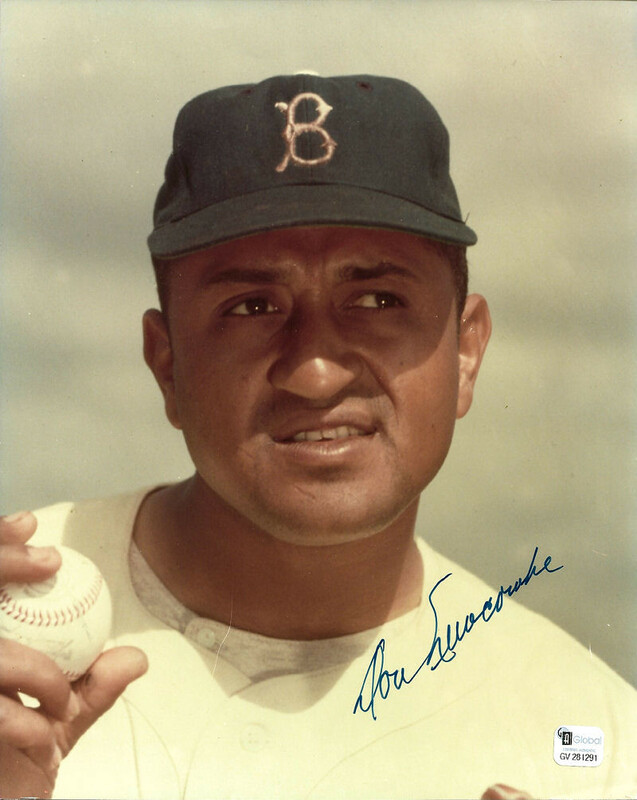 Imagine my surprise when I learned that the Dodgers had knocked it out of the park, having updated the files to include not only their classic logo from the Golden Age but also the“thin-looped” version worn before it, and even the Red Sox-style B that Boston-based McAuliffe supplied to them in the 1950s. With all these variations in the Cooperstown Collection files, you can now wear a tshirt with the accurate 1940s logo, or the 1950s logo, or even both at the same time. 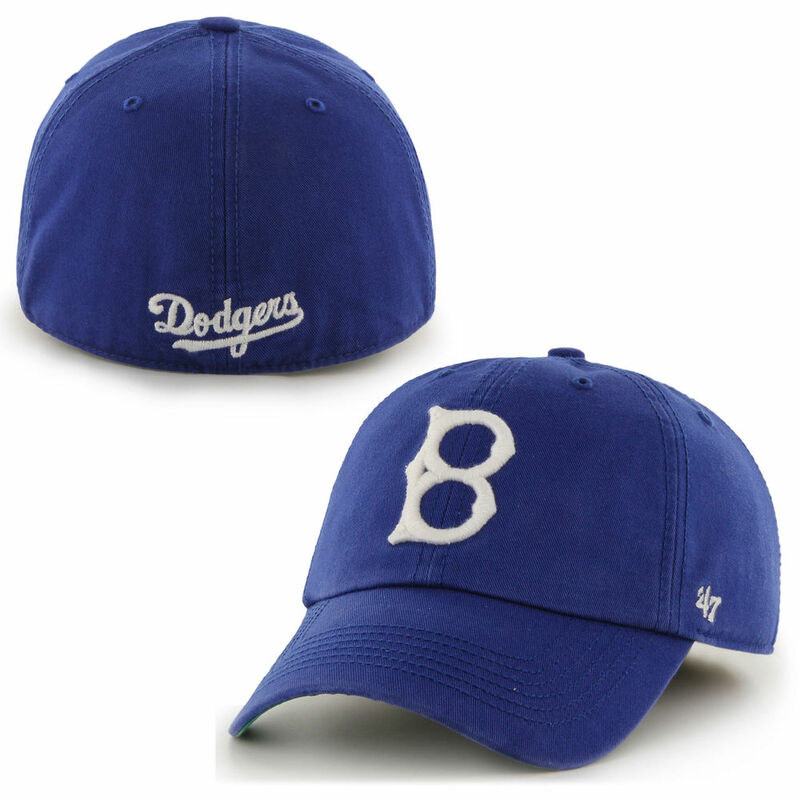 Best of all, you can get a cap with a genuine, true blue Brooklyn “B”. But take off those rose-colored glasses; not everything is perfect in Tinseltown. New Era is still holding fast to their Bakersfield Dodgers logo. 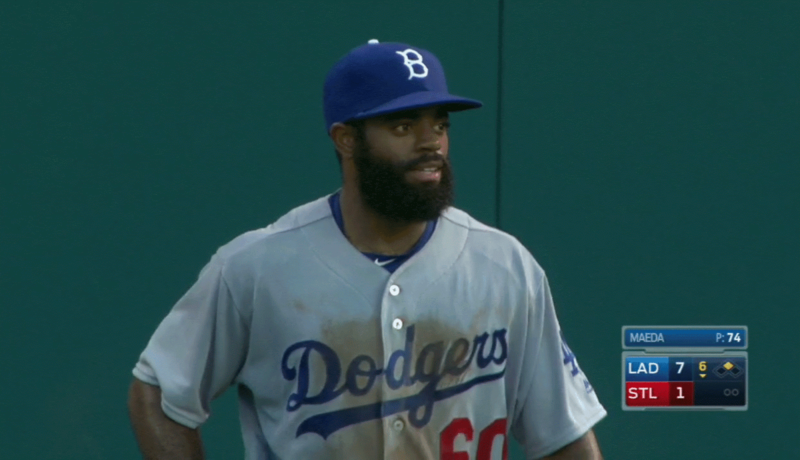 This past July the Dodgers paired them with “LA”-patched jerseys, a mess all around. But even though there’s some room for improvement, we’ve come a very long way. I see a ton of these revised-logo caps around Brooklyn. Do these people care? Do they get it™? Probably not. But I do, and it makes me smile every time. I reached out to Ross for this article, and he told me that the project was actually the brainchild of Todd Radom, who is no stranger to these pages. I guess I shouldn’t have been surprised, as we’ve all seen the fruits of his research before. I spoke with Todd, and he agreed to peel back the curtain just a bit. Uni Watch: Whose idea was it to fix the Cooperstown Collection logos? Did it come from the team, or did you pitch it? Todd Radom: I started researching and redrawing historic club art for MLB back in 1992. It’s been a continuous project, and their commitment to getting it right has been both admirable and enlightened. UW: With whom did you work? The team, MLB itself, vendors etc.? TR: I/we have enjoyed assistance of and partnership and cooperation with/ from all 30 clubs, as well as our friends at the National Baseball Hall of Fame and Museum in Copperstown. UW: What was your process? Where did you pull your information from, what types of sources? TR: I’ve been compiling reference material and observing this stuff for (literally) four decades. I have what I believe to be an unparalleled network of friends and experts and we regularly exchange notes and information. Thanks, Todd, for all your hard work as well as for the quick look at the process. We really appreciate everything you’ve done. 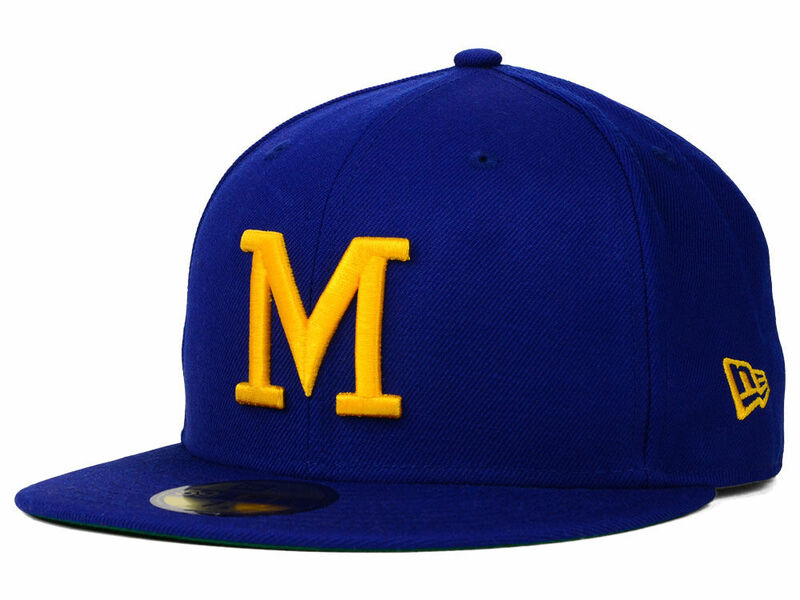 And now that we’ve fixed the Dodgers’ logo, I’m hoping we can get the Brewers to finally match their throwback caps to the actual 1970s logo (a logo also used, just as inaccurately, for for the Braves). After all, there’s only one thing Hollywood loves more than a happy ending, and that’s a sequel. Thanks, Chance. Always great to hear from you — and a wonderful followup to your earlier uni-tective work! Welcome to Part IV of the Griffins Alternate Jersey Design Contest, which will reveal the last groups of submissions. Today we’ll look at Groups G & H, and have voting after each of the Groups are displayed. If you missed Part I please click here, which contained a full writeup and the rules on voting. As with the previous three design reveals (and every day there is voting held), the TOP THREE VOTE-GETTERS will advance to the “finals” (with the Grand Prize Winner to be ultimately selected by the Griffins). You can vote on ANY of the jersey designs below (or some, all or none), but you may only submit a ballot once in each section. Please be sure to vote in BOTH sections (there are two in total). If you click on a submitter’s name, the correct box will automatically be selected (so if the check boxes don’t align exactly, just click on the name if you’d like). Review both Groups (Group “G” and Group “H”), write down any and all of the designs you like, click the designers’ names, and hit “VOTE” for each set. That’s all there is to it! Nice job by our fourth and final set (Groups G & H) — don’t forget to cast your votes in BOTH polls! • This 1970 Caps N Bats Mini Sport Kit is in great shape! • If you’d rather have an NBA Mini Sport Kit, well, we can do that too. • Here is a perfect looking Cowboys zip front sweater. Blue and gray with the trademark pull ring and embroidered helmet patch, the same one they used on ski caps of the period, too. 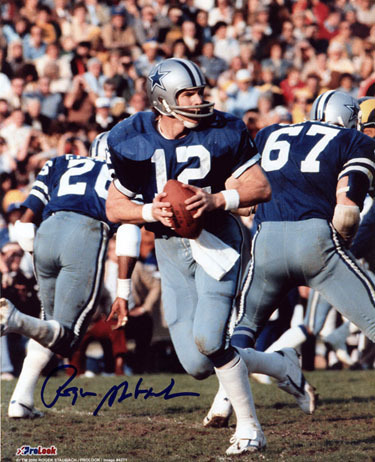 • More Cowboys: I don’t think I have ever seen the word “Dallas” done in the same font the team has used for “Cowboys” since forever. Here it is on a 1970s bicycle plate. Seller also has one for the Steelers. • And more Stillers. This seller has three different Steelers jackets from Sears. A varsity style jacket, and two different jacket styles here and here. • “Fan The Flames” with this 1976-1977 bumper sticker brought your way by your friends at Days Inn. • This vintage bath towel has a great looking set of NFL logos. Ad says 1970s but the Broncos logo was in use from 1962-1969. However, conferences are split into AFC and NFC, so let’s tag this one as 1970. • Here’s a 1960s Cleveland Indians necktie. • Facemask looking a bit droopy on this 1970s NY Giants decal. • Does this look like a homemade DIY San Francisco 49ers shirt to you? It has a Russell Athletic tag, but looks pretty, er, wonky to me. • Looks like someone’s wife is cleaning out the attic, and his childhood collection of MLB batting helmets is up for grabs. • Interesting 1970s Montreal Expos team pennant– no logo, just a maple leaf. • Interesting depiction of the 1974 Chargers helmet in this cardboard cutout. The seller has a lot more of these. I brought the computer to an Apple store. After a quick diagnostic, they told me the hard drive needs to be replaced. I explained that I was more concerned about the data than about getting the machine running again, and they said, “Oh, we don’t do data recovery” (apparently that’s an Apple Store policy, which I hadn’t been aware of), so I went to an Apple-authorized repair shop. They confirmed that the hard drive needs to be replaced and said I’d be better off having the data recovery done by DriveSavers. Some preliminary googling suggests that DriverSavers is well-regarded. It appears that one of their data-recovery rivals, called ACS, is also well-regarded, and possibly a bit less expensive. For all you techies out there: Any opinions on DriveSavers vs. ACS? Or maybe you’d like to tackle the data recovery yourself? Whatever you have to say on this topic, I’m all ears. Keep in mind that I’m pretty tech-clueless, so try to stick to “data recovery for dummies” lingo. And let’s please not clutter today’s comments with this issue — just contact me directly using the link shown above. Thanks! 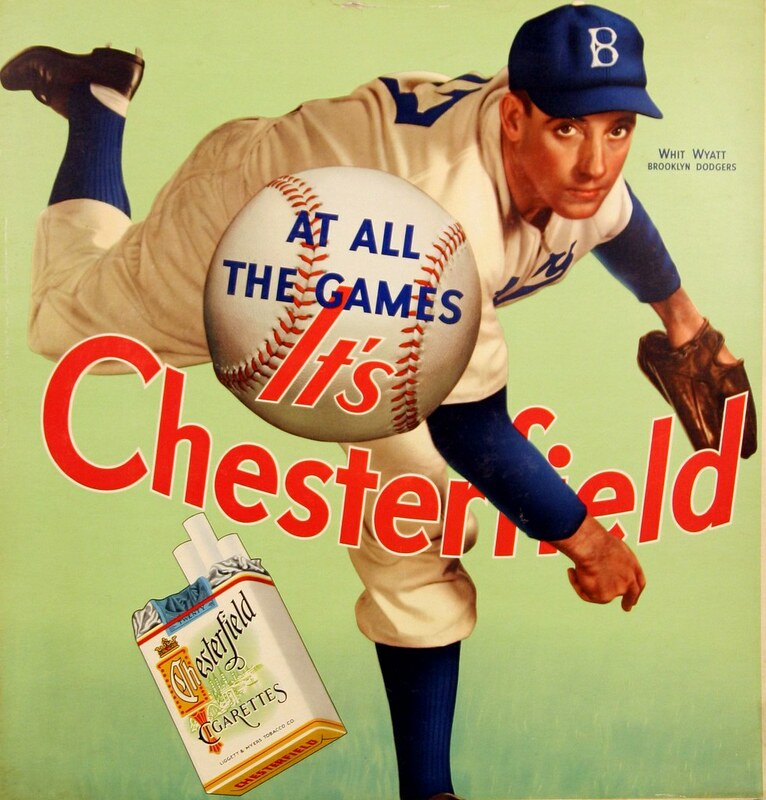 Baseball News: After nearly 80 years, the Dodgers are toeing the water with striped socks. Scott Kazmir’s stripes, though, were misaligned yesterday. Here’s another angle. “All socks have stripes that don’t quite align,” Paul explains. “It’s the nature of knitting ”” as you finish one row, you have to move down or up to the next row. But I’ve rarely if ever seen the phenomenon look as bad as it does here” (pics from @garbage_mets). … A physical altercation between the A’s Billy Butler and Danny Valencia, which left Butler injured, stemmed from an equipment spat. A shoe company rep spotted off-brand spikes in Valencia’s locker. Valencia said he didn’t wear those spikes during games, but Butler told the rep that Valencia was lying, and that the rep should end the endorsement deal with Valencia. Valencia and Butler confronted each other, and Valencia threw a punch. … Mariners reliever Steve Cishek had problems with his stirrups coming loose earlier in the season. Tim Dunn reports that he wore plain socks the other night. … A Brewers writer says the team should commit to the retro ball-in-glove logo. … Ball Four, Jim Bouton’s book about his experience with the Seattle Pilots, was made into a television show in the mid-1970s. 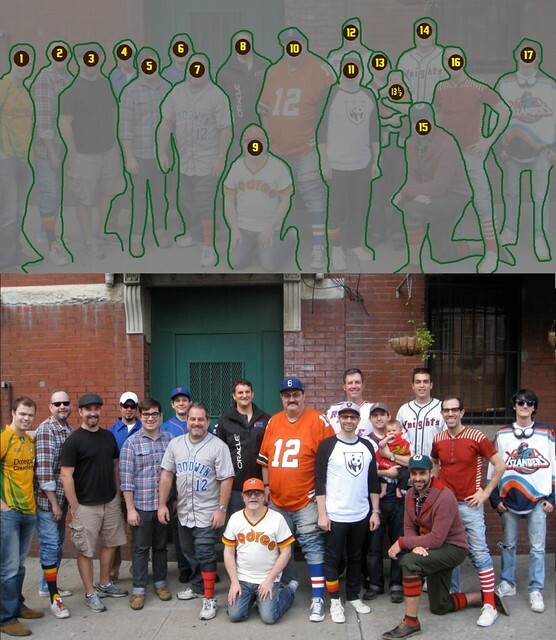 William Yurasko examined the uniforms and logos of the show’s fictional “Washington Americans” team. … A banner for the Mets online shop showed a misspelled Noah Syndergaard jersey (from @ces715, via Phil). … A Cubs fan got creative after the team didn’t win the title last year. … The Braves are giving away a Chipper Jones bobblehead. The problem, as Jones points out himself, is that he’s swinging lefty but wearing a right-handed helmet. He was a switch hitter, which might be the cause for the error (from Patrick J. Williams, via Phil). NFL News: Check out the replica Bengals helmet that this fan got signed by a bunch of Cincinnati players. I guess that’s what they’d wear if they ditched the stripes (from Brian Spiess). … Terrelle Pryor said that he likes the Browns’ all white with orange uniform combo that they wore against the Falcons last weekend. His opinion may have been influenced by his 50-yard receiving TD. Also, in case we didn’t know, Pryor is going SrOB (from Jason Hillyer). … The Cowboys have a team uniform history display at their new headquarters and training center (from Joey Breeland). … Here’s a neat Mountain Dew helmet, with merit stickers. … Football has always been associated with the military. That’s a photo of the Giants’ training camp in 1940 (from @BSmile). … Here’s a pretty good Panthers soda display (from Jake Patterson). College Football News: New uniforms for UW-Eau Claire (from Brian Kerhin). … Tennessee will wear orange-on-white for its game against Virginia Tech at Bristol Motor Speedway (from Clint Richardson, via Phil). … Adair County (Kentucky) HS uses a backwards version of the Atlanta Braves logo (from Josh Claywell). Hockey News: New logo for the ACHA, the American Collegiate Hockey Association. … Adam Rickert redesigned the Pacific Division, and created a solid concept for the Las Vegas franchise. He previously redesigned the other divisions, the Metropolitan, Atlantic, and Central. NBA News: The Raptors will unveil a Toronto Huskies throwback uniform today. As you can see, they wore a white Huskies uni in 2009-10 (the Tweet makes it sound like a blue version will be revealed). … The video game NBA 2K17 revealed anniversary logo patches for the Warriors, Pacers and Knicks. Here’s a larger view of the Knicks logo (From Conrad Burry, @HitTheGlass, and Johnny Carroll, via Phil). Grab Bag: Here’s this week’s update MLS uni tracker (from Kyle Burkholder). … A model wore men’s and women’s athletic apparel to demonstrate, she says, the “sexploitation” in sports outfits (from Phil). … Here’s a good piece on Boston’s failed plan to build new stadiums to replace Boston Garden and Fenway Park in the 1960s (from James Hayes). And that’s it for today. Big thanks to Chance Michaels for that great follow-up/lede, Brinke for the Collectors Corner, and the final set of designers for their Griffins Design Contest submissions — if you haven’t already, don’t forget to vote (both polls)! I know you’re probably all sick of the Olympics (it was a great two weeks, actually — much better than I, and probably most other folks, anticipated). However, I actually had MORE guest writers submit articles than I was able to get to during the entire run — two of the submissions were late, one was unsolicited, and one was actually a second article by one of our earliest correspondents. I’m going to try to run those (possibly as ledes, possibly as sub-ledes) even though the games have concluded. By the time you all read this, we’ll have 9 of our 12 Griffins Design Contest finalists selected by you, the readers, and after today (well, 24 hours from the time the last polls go live), we’ll have our full set, which I’ll reveal once the final polls have closed. I’ll be back tomorrow with more good stuff, but until then, follow me on Twitter @PhilHecken. On that 1970 Caps and Bats kit, the White Sox didn’t go to a red helmet/hat until 1971. And you know, this one has to be at least 1972- there’s the T for the Rangers. Yoshida to Radom to Chance is a solid combination. Just went through the NHL redesigns by Adam Rickert, was mostly impressed by the changes (for all four diviision) especially that many of the classic clubs didn’t change much and nothing was off the wall. Agreed. Good stuff pretty much all around. What is it a replica of? I think “Fantasy” or “Fan-Imagined” might be a better description. That would be a great helmet if the Bengals didn’t already have a great helmet. They have one of the worst helmets. That fan’s helmet would be a major upgrade. Even better if it was a white helmet since black and orange helmets are already in the division. Surprised that Ryan Tinnerman hasn’t been getting the votes. The griffin shaped like a G and R is one of the more creative designs we’ve seen in this contest. I suspect that if he had taken the time to slap it on a jersey template, there would be a lot more votes. Artistically Ryan’s logo is neat, and looks professionally crafted, but you are right. This was a jersey contest, not a logo contest. Many (like me) want to see the whole jersey because even a great logo can’t save a crappy jersey behind it. I voted for the ones I thought were both well designed and more unique (or original). I liked Bret’s design positioned right above it from this batch. The misalignment on those Dodgers socks is brutal. Even the technically necessary one-stitch misalignment of TCK stirrups bugs me a little, but that’s terrible. Worse, it’s not like Stance doesn’t know how to operate its factory machinery: That was probably a deliberate design. Couldn’t agree more. Brutal is the correct word and convinces me to NOT purchase their product. I have several TCK striped stirrups and the misalignment is slight in all of them. This iteration looks like it was deliberate hosiery malpractice, someone signed off on the wrong proof, or a factory overseas didn’t quality check. And yet, it STILL made it onto the leg of an MLB player – a huge fail by Stance. What is it with the Dodgers? They try new logos on their helmets and go with a vendor who essentially doesn’t know what he’s doing, even though other vendors are doing the same thing with no problems. Then they get these horribly made socks from, I guess, MLB’s approved vendor, and approve their usage. And why striped socks? Their royal stirrups are classic, and these just look like clown socks. I wish MLB would designate socks as part of the uniform and not to be an option to dink around with. I have to be critical of Jeff Zyla’s design here. Using the Florida Panther’s new uniform template is one thing, but styling the main logo like theirs as well is just a bit too much for me. Also, regarding Ryan Tinnerman’s design… wasn’t there supposed to be a jersey in there? Great update from Chance! 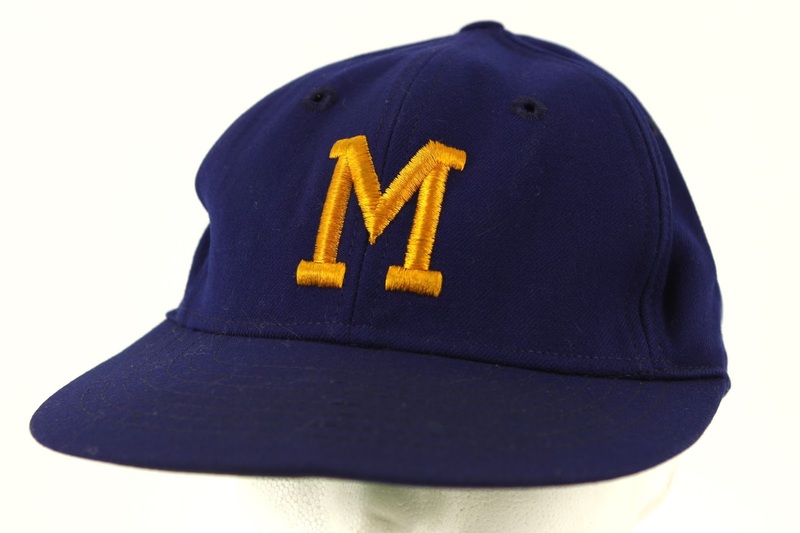 And thanks also for mentioning the next frontier in Cooperstown Collection accuracy, the too-squat Milwaukee M. Funny thing is that while the New Era 1970 Brewers cap I picked up at Mickey’s Place has the inaccurate pseudo-Michigan M, the ’47 Brand 1970 Brewers cap a mysterious benefactor sent my way has an accurate, high-waisted M on it. Memorabilia auctions usually feature Senators caps with a modern-looking curly W. Occasionally, I’ve seen auctions of caps with curly W’s that do resemble the terrible Cooperstown Collection logo, but mostly those appear to be fan merchandise caps, not player-worn caps. So since at least the 1990s, MLB has been selling fans “Washington Senators” merchandise based on random storebought kiddie souvenirs, rather than on what Senators players wore on the field. In practice, any 2005-present all-red Nats cap is a 1968-71 Senators throwback. 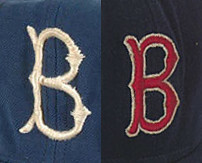 The logo is right, and while it has the MLB logo on the back and a black underbrim rather than green, both are true of many modern MLB turn-back-the-clock game caps. 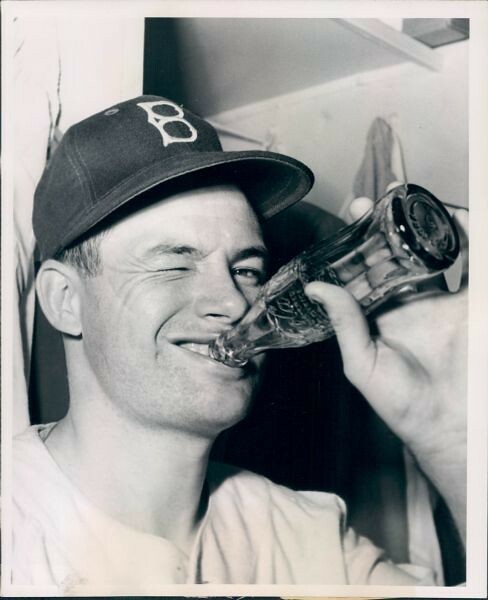 It’s the 1963-67 cap that has never been reproduced with even the remotest accuracy. 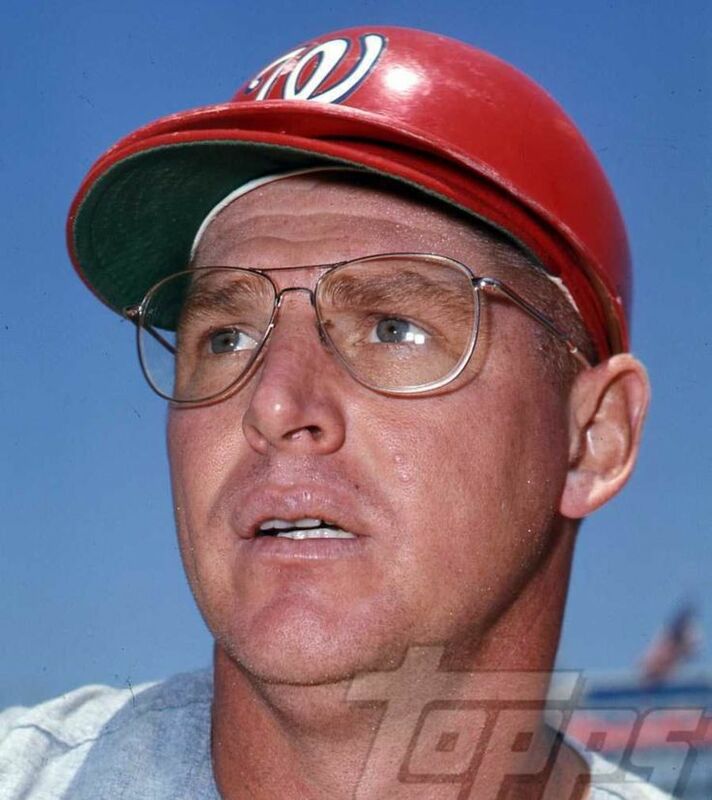 Since that is also the best cap any Washington baseball team has ever worn, that’s really the focus of my concern for accuracy in Cooperstown Collection rendering of the expansion Senators’ curly W.
In a perfect world, those 1963-67 Sens’ hats would be part of the Nationals’ uniform. So….when is this Grand Rapids Griffins contest going to get wrapped up? Well, today is the final day of submissions/voting, so “technically” it’s getting wrapped up today — but there will be 12 finalists (which I’ll announce this week) and then the Griffins will pick the winner(s) from those finalists, which I expect will be announced next week. I can see there being a pretty good consensus on this site of which ones are the best/top 3 but the Griffins will take the one everyone thinks is ok. I don’t know. There have been way more than three that I would be inclined to put in my “top three” list, so any actual top three I could name would be essentially a random sampling of my personal top six or eight. A couple of my favorites probably didn’t make the cut for forwarding to the team, but so far the top finishers have all been pretty good. So the team is likely to have a good set of candidates, and wherever they choose will likely be a favorite of a good number of readers and voters. For what it’s worth, today’s second ballot was the first one of the whole contest where I wasn’t able to narrow my choices to a single strategic vote for one favorite. Had to vote for three from that list. I’ve really enjoyed the variety of approaches and presentations in the whole contest. I’m really grateful to everybody who gave their time and effort to submit a design! I find it hard to believe the Toronto Huskies wore the Dom Casual font seventy years ago. The timing seems all off. Dom Casual is so much more a ’60s phenomenon. In the Collector’s Corner entry with all the batting helmets, can anyone identify the helmet between the Cardinals and the Indians helmets? I’m stumped. Chance’s article upended everything I thought I knew about the Dodgers’ hat insignia. I accepted it as an article of faith the “B” looked like two identical stacked “D”s. Oh, well, I’d just buy my favorite, and authenticity be damned. The Expos (or is it expos?) pennant is interesting; since it doesn’t have the logo, and the font is the same one used in the Expo 67 wordmark, I have to wonder if it isn’t older than the 1970s. My guess would be that this pennant may have been produced somewhere between the announcement of the team name, and the unveiling of the logo and wordmark. 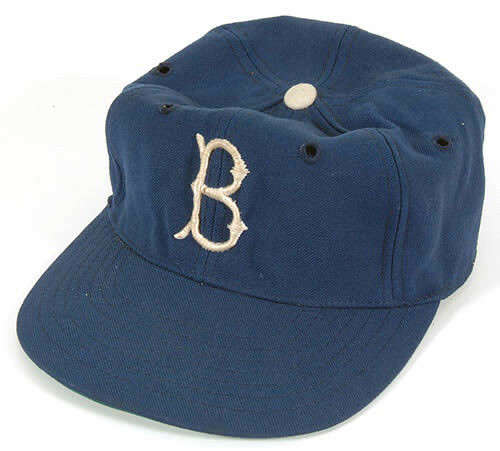 After fixing the Brooklyn Dodgers’ “B”, I hope Todd Radom has time to fix the American Needle’s version of the Seattle Pilots cap that they have been selling for years now. My understanding is the Pilots’on field cap used a form of palm leaf for their caps rather than the scrambled eggs sold by American Needle. Attempts to point this out to American Needle and the Milwaukee Brewers were to no avail. Mr. Radom, perhaps you will have better luck. How about maybe a white squatchee on the maroon Phillies’ hat?? Part of why Chance’s article today is so terrific is that attempts to point out inaccuracies to anyone associated with MLB are usually availless. I mean, the present-day Washington Nationals can’t be bothered to put their own actual modified-in-2011 curly W logo on their caps and jerseys. When that level of whogivesashitism characterizes MLB’s treatment of current intellectual property, it’s no wonder that historical replicas are so consistently terrible. The number fonts are wrong on several Cowboys uniforms in their museum. The photo of the mini helmets has to be newer than 1971 as the Eagles and Giants helmets are much newer than that. In ’71 the eagles wore a white helmet with green eagle wings, and the Giants had the lower-case ny similar to what they wear now. I’d sat that the photo shown could not be any earlier than 1975. The auction calls it 1976. There’s a photo circulating of Chipper batting lefty at home against the Marlins – while wearing a helmet with the flap over his left ear. Perhaps the bobble is commemorating that.